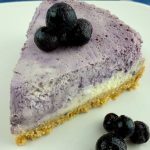 Did you know you can make super tasty cheesecake right in the Instant Pot? 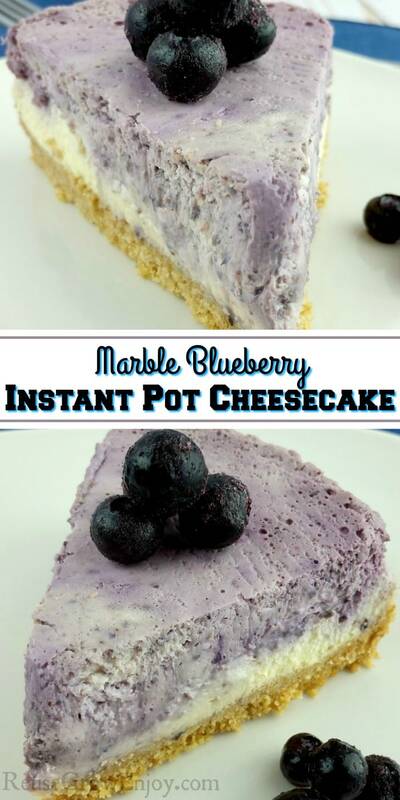 Check out my recipe for Marble Blueberry Instant Pot Cheesecake to see what you have been missing. 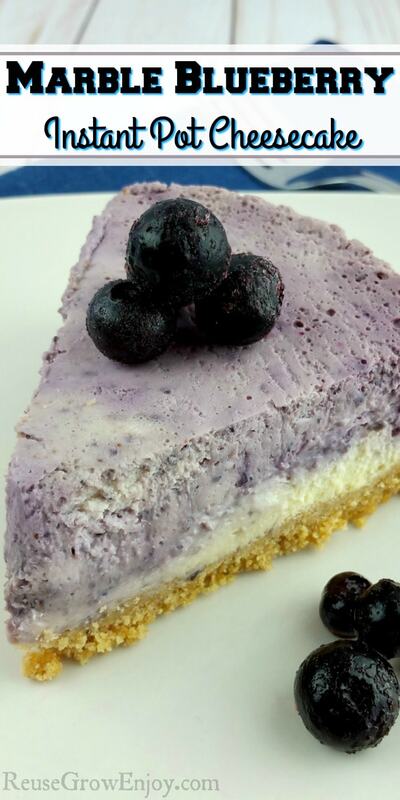 I have always enjoyed a great cheesecake but making them from scratch has not always been that easy. I always had issues with the skin getting too dark when I would bake it. 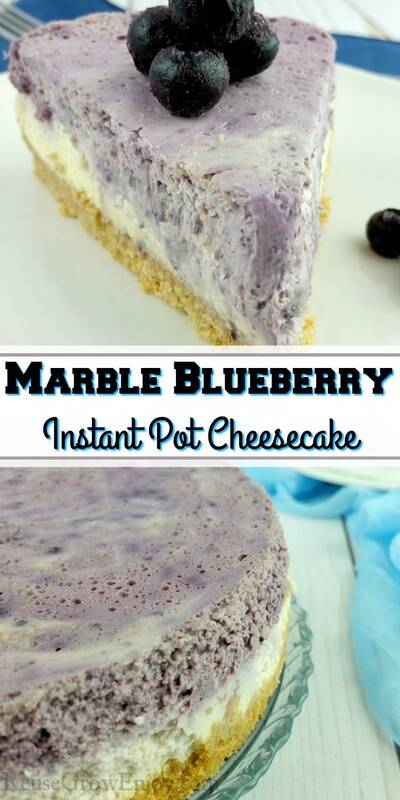 Well, that is no longer an issue when you make this marble blueberry Instant Pot cheesecake. This is made in an Instant Pot but could be made in any electric pressure cooker. Just be sure that you have a springform pan that fits in your pot. I used a 6qt Instant Pot with the springform pan found here. 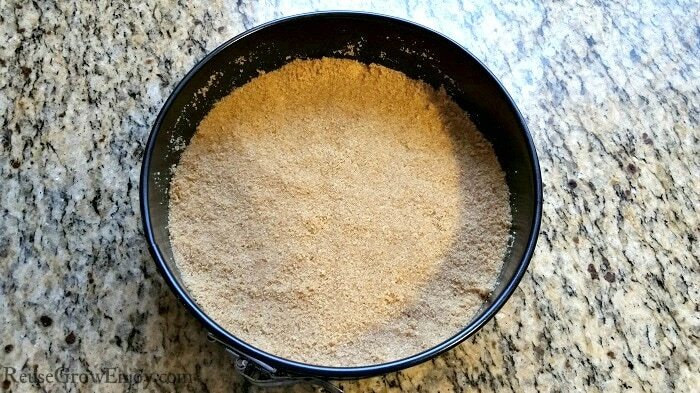 Pack the mixed crumbs into the bottom of the greased pan. You want to make sure you pack them good. 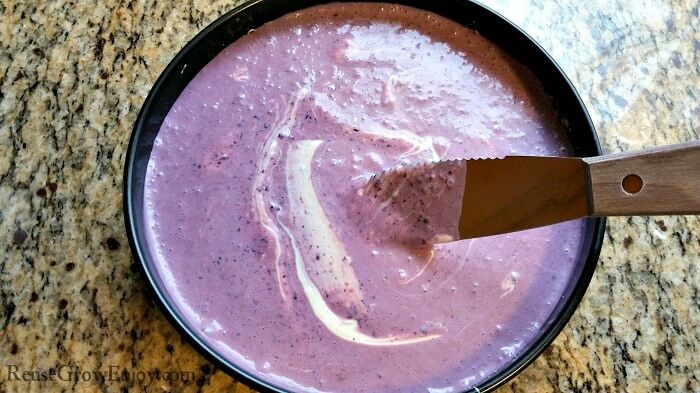 Then pop the pan in the freezer while you mix the filling. 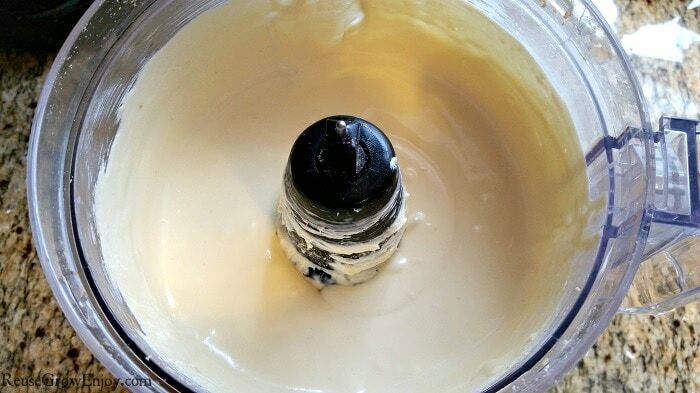 Next, mix your cheesecake mixture in the food processor or stand mixer. Dump 3/4 of the mixture into the pan on top of the crust. Then add the blueberries into the remainder of the mix in the processor and mix until smooth. Now dump the rest of the mix on top of the other mixture. Using a fork or knife, carefully swirl it around to five it that marble look. 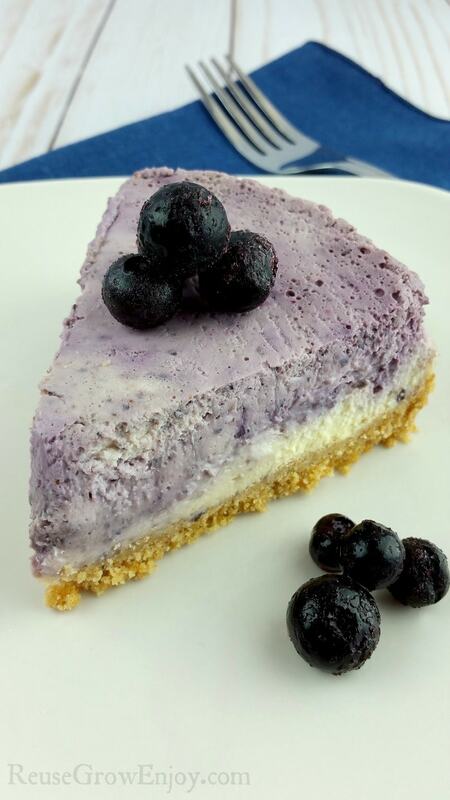 You want to pull a little of the non-blueberry mix up through the blueberry mix. Just be careful not to dig deep as you do not want to dig into the crust. When it comes time to remove the pan from the Instant Pot, these little mitts work awesome for that! 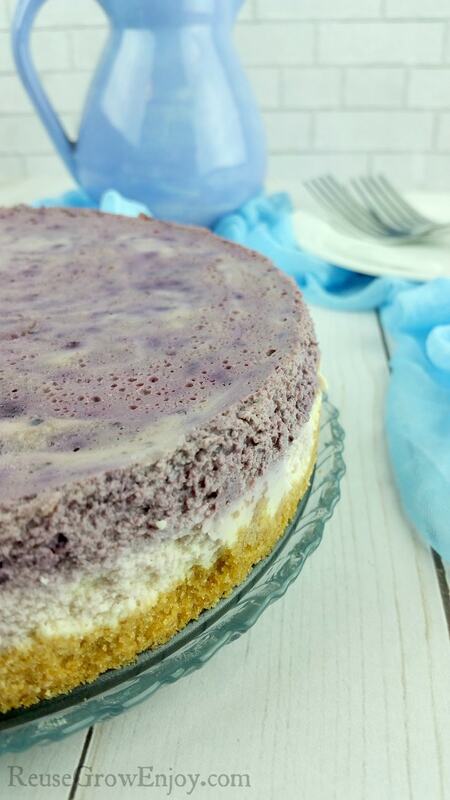 Here is another cheesecake recipe to try. In a food processor crush graham crackers until they are fine crumbs. Then mix in melted butter. Lightly grease the springform pan. Add crumb mixture into the pan and press it down on the bottom. When done, pop it in the freezer. In food processor mix, vanilla, and cream cheese until smooth. Then add the eggs and blend until smooth. Mix in two cups of the sweetener and blend until fully mixed. Dump 3/4 of mixture onto graham crust. 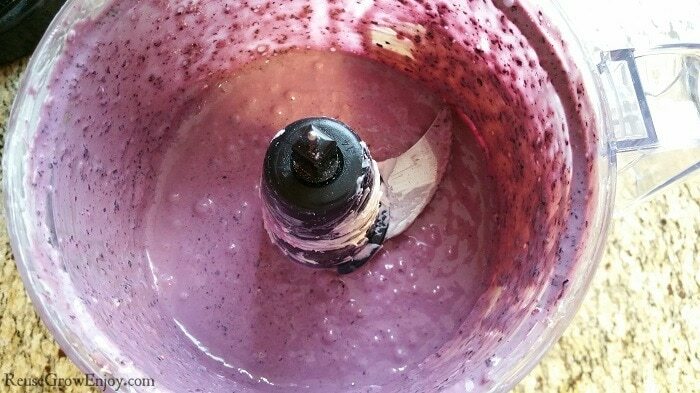 In processor mix the rest of the mixture with the other 1/2 cup sweetener and the blueberries and blend until smooth. Dump the blueberry mixture on top of the other mix. Using a fork or knife, carefully swirl it around to slightly mix it together to give that marble look. Be really careful not to dig into the crust. Place the trivet into the bottom of the inner pot of the Instant Pot. Then add one cup of water. Carefully put the pan inside the pot on the trivet. Place the lid on and make sure the valve is on sealing. Push manual (high pressure) and add a cook time of 25 minutes. When it beeps that it is done, open the valve to vent (quick pressure release). 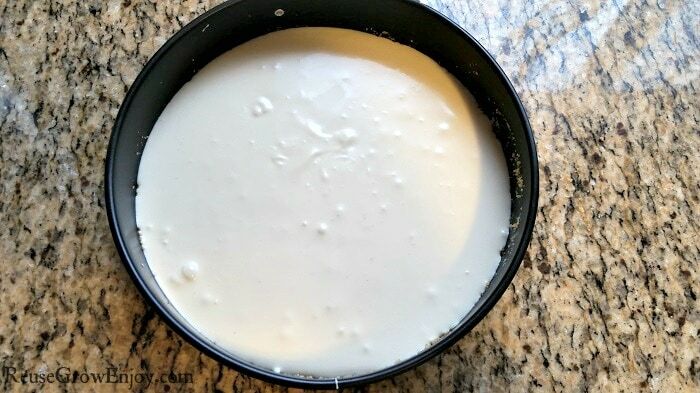 Then remove the cheesecake from the pot and allow to cool on the counter for about 30-45 minutes. Then move to the fridge. Do not remove from pan or slice until it is fully chilled. After chilled slice and serve with a few fresh blueberries. If you are trying to reduce fat you can use one pack of regular cream cheese and one low-fat one. I have done that and it works well. I would not use both packs of low-fat. It is a much softer cheese and will not hold shape and texture as well if you do both as low-fat.